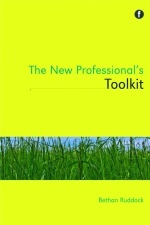 1) it seemed like a good Information Professional skill! And a good chance to add ‘indexed a book’ to my CV – who knows if I’ll ever have that chance again? 2) (and this is the deciding one) Phil Bradley told me it would be fun. And when Phil Bradley gives you advice like that? You take it! But however sure I was that doing the index was the right thing to do, it was a daunting prospect. The closest I’ve ever come to doing an index was constructing a thesaurus in library school (and I think that was my lowest mark of the course…). So to get myself feeling a bit more prepared, I attended a Society of Indexers Introduction to Indexing course. The course helped me feel a lot more confident about preparing an index, and taught me some of the basics of how to go about it. The most valuable lesson of the day? An index is not a thesaurus! You’re not preparing a controlled vocabulary, where you decide that one term is the ‘correct’ term – you’re offering a way in for your users, to find the information they need. Double-entries are not only acceptable, they’re encouraged! Indexing is all about trying to identify what people might look for – what they might want to know from your book. I can’t decide if indexing your own book is an advantage or a disadvantage! One one hand, you know the text inside-out, and it probably takes you less time to pull out the main index points than it would take someone who’s coming to the text cold. On the other hand, you maybe know the text too well, and might miss some really obvious points that an outsider would pick up on. The guidelines from Facet came with the warning that ‘Remember, reviewers often notice poor indexes’, which definitely contributed to my performance anxiety… But they also gave me helpful advice and answers to my ‘this might be a silly question…’, and were kindly encouraging! The trainer on the indexing course told us about some indexing software, and also mentioned that Microsoft Word had an indexing tool built-in, but that she didn’t recommend it. It seemed slightly superfluous to buy software for a single index, so I decided that I’d give the Word tool a go, and if I found it difficult or clunky I’d look for something else – or do the whole thing manually. The first job was to get my copy for indexing out of a PDF and into Word, while making sure that the page numbers matched up. This was slightly tedious, but not difficult – though my page numbers did get out of synch somewhere around p180, and I had to spend some time tracking down the mis-match and updating the index. 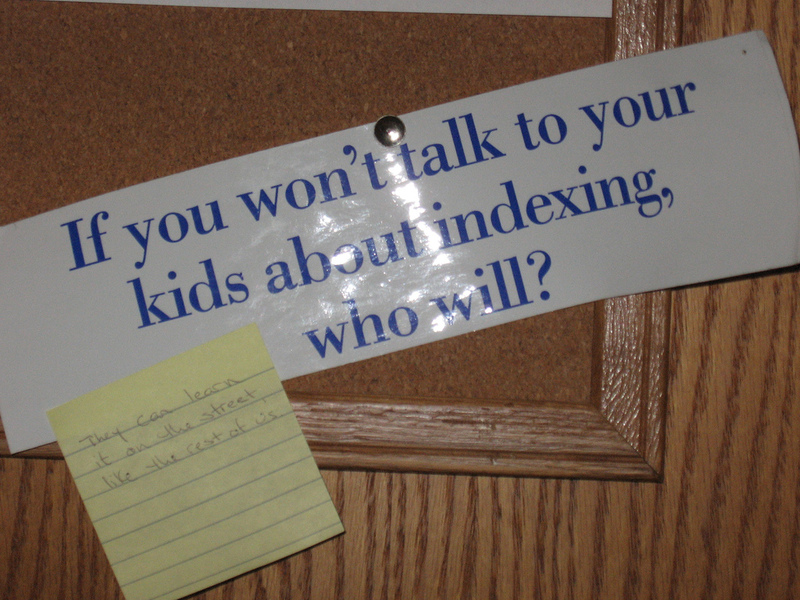 The Word indexing tool wasn’t hugely user-friendly! Having to create a bookmark first for entries across multiple pages was a particular annoyance, and I kept forgetting… But it was good enough to do the job, and I decided that the time it would take to find and learn another tool wasn’t justifiable, especially as I had only 3 weeks to do the proofreading and index. Once I’d done my second run-through of the index, I copied the index out of the Word document, and saved it as a plain text document, to remove all of the links and ‘noise’. This left me with a plain old list of terms and page numbers. I then went back and checked this against the text – was the page reference right? Is that actually a big enough reference to justify an index-point? Did I spell everything correctly? Is there another term that people might use if they’re looking for this? What else should I put it under? So, with a finished index, my next concern: is it long enough? At home, on a Sunday evening, and with no LIS textbooks to hand, where do I turn to find out? My twitter network! And big thanks to @chaletfan and @merry30 who delved into their shelves and memories for me, and reassured me that 7 pages sounded just right for an index. So, I learned a lot, and I’m very glad I did it, but is it a good index? I guess I’ll have to wait for the reviews to find out!